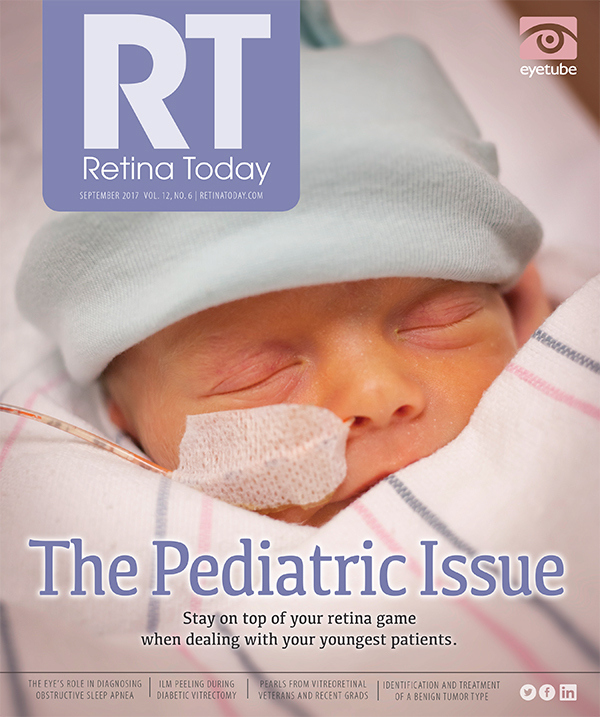 In a phase 3 clinical trial, voretigene neparvovec gene replacement (Luxturna, Spark Therapeutics) improved retinal function in patients with RPE65-mediated inherited retinal dystrophy (IRD) that was previously medically untreatable.1 The publication of these results in the Lancet comes as Spark Therapeutics has also announced several steps forward in the regulatory pathway for its investigational gene therapy. In the randomized, open-label controlled phase 3 trial, 20 patients at two US sites with confirmed genetic diagnosis of biallelic RPE65 mutations received bilateral subretinal injections of voretigene neparvovec, and nine untreated individuals served as controls. Participants were aged 3 years and older and had sufficient viable retina and the ability to perform standardized multiluminance mobility testing (MLMT), a test that gauges the ability to navigate a mobility course at a range of specified light levels. The primary efficacy endpoint was change in MLMT performance at 1 year. At 1 year, the mean change in bilateral MLMT score was 1.8 light levels in the treated group versus 0.2 in the control group, and 65% of the treated participants passed MLMT at the lowest luminance level tested (1 lux), demonstrating the maximum possible improvement. No control participants passed the MLMT at that level. Following the publication of the phase 3 results, Spark has announced several regulatory advances for its gene therapy product. In July, Spark’s biologics license application (BLA) to the US Food and Drug Administration (FDA) for voretigene was accepted for filing, and the gene therapy was granted priority review. Priority review is granted to therapeutics that would offer major advances over existing therapies or would provide a treatment where none exists. The FDA’s goal with priority review applications is to take action within 6 months. The assigned Prescription Drug User Fee Act date for the therapy is January 12, 2018. The company subsequently announced that two offices of the FDA, those overseeing orphan products development and pediatric therapeutics, had designated voretigene as a drug for a rare pediatric disease. Under the FDA’s rare pediatric disease priority review voucher program, companies who receive approval for a new drug application or BLA for a rare pediatric disease may be eligible to receive a voucher for a priority review of a subsequent marketing application for a different product, according to Spark. Finally, the company announced that it has submitted a marketing authorization application (MAA) to the European Medicines Agency (EMA) for voretigene. The MAA includes data from three clinical trials, including the phase 3 data mentioned above. Once EMA has validated the application, the review period will begin. Spark Therapeutics previously received orphan product designations for voretigene from the EMA for the treatment of Leber congenital amaurosis and retinitis pigmentosa. 1. Russell S, Bennett J, Wellman JA, et al. Efficacy and safety of voretigene neparvovec (AAV2-hRPE65v2) in patients with RPE65-mediated inherited retinal dystrophy: a randomised, controlled, open-label, phase 3 trial [published online ahead of print July 13, 2017]. Lancet. An integrin peptide therapy (Luminate, Allegro Ophthalmics) met the primary endpoint in a phase 2b, stage 2 clinical trial when used as a sequential therapy with anti-VEGF treatment in patients with diabetic macular edema (DME), according to a press release from the manufacturer. The 1.0 mg dose of Luminate in sequential therapy demonstrated gains in visual acuity equivalent to those achieved with bevacizumab (Avastin, Genentech) monotherapy at all time points measured. The primary endpoint of the DEL MAR phase 2 stage 2 study was noninferiority to bevacizumab monotherapy in mean change in best corrected visual acuity (BCVA) at 20 weeks when Luminate was used with a single bevacizumab pretreatment (sequential therapy) or in combination with bevacizumab. The double-masked, placebo-controlled, randomized trial, conducted at 14 US sites, included five arms: Luminate 0.5 mg or 1.0 mg as sequential therapy, with a single treatment of 1.25 mg bevacizumab (week 0) followed by three Luminate injections (weeks 1, 4, and 8), and 12 weeks off treatment; Luminate 0.5 mg or 1.0 mg given in direct combination with bevacizumab 1.25 mg at weeks 1, 4, and 8, and 12 weeks off treatment; and a 1.25 mg bevacizumab control arm of five monthly injections. Mean gain in BCVA in the 1.0 mg sequential treatment group was 7.1 letters, and for patients in the bevacizumab control group 6.7 letters. Luminate also demonstrated durability at the 12 week follow-up visit. The drug was well tolerated, with no drug toxicity or intraocular inflammation. Separately, Allegro announced the completion of a private round of equity financing for $10.7 million. This infusion of capital will allow the company to complete multiple phase 2 clinical trials and prepare for phase 3 studies, company officials said in a press release. Aerie Pharmaceuticals has entered into an agreement with DSM that will allow it to license that company’s bioerodible polymer implant technology. Under the agreement, announced in a press release from Aerie, the pharmaceutical company will be able to explore the use of DSM’s technology for delivery of its compounds, beginning with retinal applications. The DSM technology uses polyesteramide (PEA) polymers to produce minute, injectable, thin fibers. Preclinical experiments have demonstrated early success combining this technology with Aerie’s compounds, according to the press release. Linear sustained elution rates have been demonstrated over several months, achieving target retinal drug concentrations. Aerie’s small molecule product candidate AR-13154, an inhibitor of Rho kinase and protein kinase C, has been shown to decrease lesion size in a preclinical model of wet age-related macular degeneration (AMD) at levels similar to a leading anti-VEGF product, according to the press release. It has also generated meaningful incremental reduction in lesion size in combination with the anti-VEGF product. Other preclinical studies have demonstrated the potential for the molecule to reduce neovascularization in a model of proliferative diabetic retinopathy. A key to unlocking the potential of the compound is finding the optimal way to deliver it to achieve long-term sustained delivery to the back of the eye, a company official said in the Aerie press release. The company is hopeful that the PEA technology will be what they need. A complement C3 inhibitor, APL-2 (Apellis Pharmaceuticals) met the primary endpoint in a phase 2 study in patients with geographic atrophy (GA) associated with AMD, the company announced. After administration of treatment every month for 1 year, there was a 29% reduction in GA lesion growth in treated patients in comparison with sham-treated patients, a statistically significant difference. In patients treated every 2 months, the reduction in growth was 20%, also statistically significant. In a post-hoc analysis, statistically significantly greater effects were seen in the second 6 months of the study, with reductions of 47% in growth rate with monthly treatment and 33% with bimonthly treatment. The most frequently reported adverse events were associated with the injection procedure. In the treatment groups, a higher incidence of exudative AMD was observed, mostly in subjects with a history of exudative AMD in the fellow eye. APL-2 is a complement C3 inhibitor that may have the potential to treat a wide range of complement-mediated diseases, according to a press release from Apellis. It is a synthetic cyclic peptide conjugated to a polyethylene glycol polymer that binds specifically to C3 and C3b, effectively blocking all three pathways of complement activation. The phase 2 multicenter, randomized, single-masked, sham-controlled FILLY trial included 246 patients with GA in the United States, Australia, and New Zealand. APL-2 or sham treatment was administered as an intravitreal injection in the study eye monthly or every other month for 12 months, followed by 6 months of monitoring. The primary endpoint was the change in GA lesion size from baseline to month 12, compared to sham. A cortical visual prosthesis implant is conditionally approved to begin a US feasibility clinical study, according to the device’s manufacturer. The FDA granted permission to Second Sight to begin the small clinical study of its Orion Cortical Visual Prosthesis System, the company announced in a press release. The conditional approval allows the enrollment of up to five patients at two clinical sites. The FDA has also asked Second Sight to conduct additional testing of the device and address some outstanding questions, according to the company. First-in-human trials are planned for 2017, according to the press release. The Orion, like the company’s Argus II Retinal Prosthesis System, is designed to convert images captured by an external camera into a series of electrical pulses that is wirelessly transmitted to an implant to stimulate nerve cells. Unlike the Argus, however, the Orion system will transmit these impulses to an array of electrodes implanted on the visual cortex in the brain. The intent, as with the Argus, is for the patient to perceive these pulses as patterns of light, imitating vision. Because the cortical implant bypasses the retina and optic nerve and directly stimulates the visual cortex, it is hoped that the system can restore vision to patients blinded by a range of disorders, including glaucoma, diabetic retinopathy, and even cancer or trauma, the company said. Quantel Medical announced that its 577-nm yellow EasyRet photocoagulator laser received approval from the FDA in July. The Easyret features a range of settings for treatment of diabetic retinopathy, macular edema, central serous chorioretinopathy, and other pathologies. It allows single-spot and multispot treatment, and users can select a SubLiminal mode that “enables them to customize a train of short pulses to precisely manage the thermal effect on targeted tissues,” according to a press release from the company. The EasyRet is built on Quantel’s proprietary Elba fiber laser technology, which the company has previously used in scientific and industrial areas. The laser “delivers pure 577 nm yellow wavelength in a uniform top-hat laser spot profile, making it ideal for ophthalmic applications,” according to the company. The laser manufacturer OD-OS has released a “major software update” for its Navilas 577s navigated laser. The update, which will be provided free-of-charge to all users of the laser, will greatly accelerate the speed at which laser spots are delivered, the company announced in a press release in August. The update will reduce treatment times for navigated microsecond pulsed treatments and for a newly introduced preplanned peripheral treatment option, the company said. The navigated laser system allows physicians to preplan laser therapy sessions on fundus images and third-party diagnostic images. The therapy plan can then be executed under computer guidance. The Navilas enables focal treatments to be performed without a contact lens and infrared illumination, improving patient comfort, according to the company. “By allowing physicians to pre-plan the treatment, rather than wasting time on pattern positioning, we give them the ability to invest more time into better patient care,” a company official said in the press release. The Stellaris Elite Vision Enhancement System is now available configured for retina surgery, manufacturer Bausch + Lomb announced in August. The Stellaris Elite platform received 510(k) clearance from the FDA in April and has been available configured for phacoemulsification since May. The “next-generation surgical platform” integrates advanced retina capabilities including the Vitesse hypersonic vitrectomy system, which will be exclusive to the Stellaris Elite, the manufacturer said in a press release. The system offers a range of vitrectomy cutters that will operate at up to 7,500 cuts per minute (cpm), as well as the 27-gauge BiBlade vitrectomy cutter, with cut rates up to 15,000 cpm and an open-port design that results in more consistent flow than single-port cutters, the company said. Other features include a dedicated combination of dual light source, fiber optics, and light filtering technologies with illumination options designed specifically for small-gauge vitrectomy. It will have the ability to support fiber-optic illuminators as small as 29 gauge. A portfolio of high-performance laser probes will also be available for the unit.